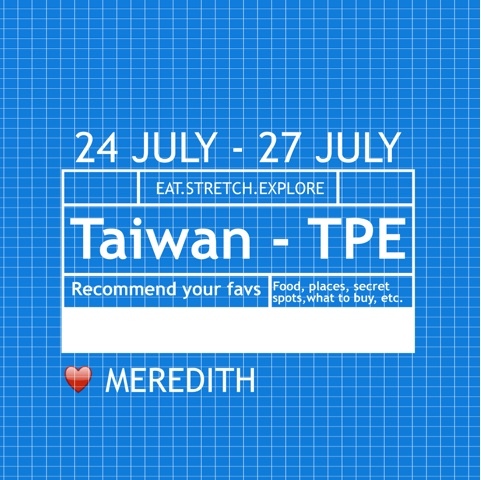 My friend and I are going to Taiwan from July 24 to July 27! This will be my second trip, but my friend's first trip to Taiwan. It's going to be SO HOT. We are already preparing ourselves mentally and physically. It has been nearly 3 years since I was last in Taiwan and, I'm sure, it has changed so much. So, I'm looking for your favorite places and "must sees" and, most importantly, MUST EATS! Which is your favorite night market? I went to Shilin and one other last time, but I'm wondering if there is a better one? Less touristy? What are the must buys? Must eats? I definitely want to go back for beef noodles again. It's crazy how something so simple can be so delicious. Which is your favorite place? Again I'm so sorry that I have been so absent and my posts have been few and far between. I have been crazy busy recently with my work. I've started Bullet Journaling (see my previous post) and, although my system is not perfect yet, it has been helping me make a better use of my time. So, I'm trying to schedule time to write a few posts every week. I also realized I have so many "draft" posts from my trip to England in 2015...oops. And my life in Korea..ooops. I have to just finish those up!